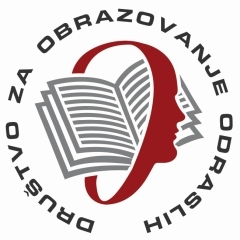 Most of papers in this collection are based on presentations made at an inter-national conference “Empirical Research in Adult Learning and Education – Conceptual and Methodological Problems”, hosted by the University of Belgrade, 15 September, 2015, in the context of an ESRALE Summer Academy. Other papers were received in response to an invitation to a broader circle of associates working on relevant topics. In total, the collection contains 23 papers, by 38 authors- short biographies of whom are included at the end of the publication. The overall aim of the papers in this volume is to discuss the role of research in adult education, with a view to expanding the evidence base for the improvement of quality in the field of adult education and learning, policy and practice. Some of the major themes to emerge include: the theoretical-methodological basis of adult learning and education; adult education policies; adult illiteracy; elementary education of adults; vocational adult education; higher education; human resource development; career guidance; on line learning and research; prison education; and the education of vulnerable populations. Publication is available in English.